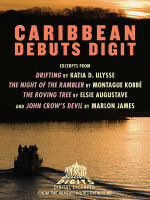 Edwidge Danticat’s story, “The Port-au-Prince Marriage Special,” was included in the Fall 2013 issue of Ms. Magazine. Edwidge Danticat answered 15 questions for Akashic’s Literary Lions feature. Read her answers here. Read Edwidge Danticat’s contribution to “My Caribbean – 5 Vignettes,” which appeared in the November 10, 2013 issue of the New York Times. “Things I Know About Fairy Tales” by Roxane Gay was Storyville’s story of the week beginning February 18, 2014. A portion of the profits from Haiti Noir 2: The Classics will be donated to FotoKonbit, a nonprofit organization created to empower Haitians to tell their own stories through photography. Featuring stories by: Danielle Legros Georges, Jacques Roumain, Ida Faubert, Jacques-Stephen Alexis, Jan J. Dominique, Paulette Poujol Oriol, Lyonel Trouillot, Emmelie Prophète, Ben Fountain, Dany Laferrière, Georges Anglade, Edwidge Danticat, Michèle Voltaire Marcelin, Èzili Dantò, Marie-Hélène Laforest, Nick Stone, Marilène Phipps-Kettlewell, Myriam J.A. Chancy, and Roxane Gay.